Once you have downsized your life you will have time on your hands to follow new interests and spend more time on current hobbies. However, the last thing you should be doing is spending more money at a time when you have to watch the pounds. 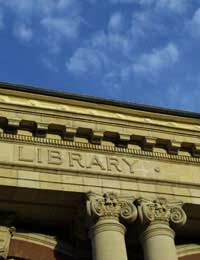 By visiting your local library you will find a wealth of interesting things to do, and all for free. If you have never entered the doors of your library you are in for a treat. Gone are the days when people asked you to be quiet if you as much as coughed. A library is now a bright cheerful place where much can be learned and a lot of time spent. If you do not hold a current ticket for your library take along proof of your identity and several utility bills. Your membership will be processed on the spot and you will find that you can take out several books at one time and given a deadline for their return. You will be fined if the books are not returned on time so if you have not yet finished reading a book contact the library and extent the borrowing time. When visiting the library you will find so much to do that you could stay for hours. With a reading area and comfortable chairs you can catch up on news by reading the national newspapers and many other publications. Some libraries even have a coffee shop attached where you are able to meet friends. Buy visiting your library regularly you will be getting exercise by walking there, saving on heating on your home and reading newspapers for free. So, a visit to the library could be considered to be a cost cutting exercise. Have you considered renting our videos, DVDs or CDs? Most libraries have a lending service that is comparable to high street rental shops, if not cheaper. They have a vast array of books on tape or cds which are an enjoyable way of catching up on your favourite books recorded by well spoken actors. When downsizing your life and finding more time on your hands you may be following up on your family history, local history or perhaps you are studying a subject? Resources at libraries will help you look up databases of information that are either kept on disc, computers or journals. Library staff will be interested in your project and either transfer books into the library for your research or direct you to reference books on your chosen subject. With computers situated in libraries that are available to members it is possible to brush up on your skills and even take some courses. Libraries are linked with learning providers who can either teach courses at the library or guide you to a college or education centre for the subject of your choice. Most libraries hold a database of local clubs and associations and will provide you with contact details of the organising committee. Information boards will show local events that may take your interest such as amateur dramatic productions, gardening competitions and trips and lunches for the retired. A few minutes reading the notices could change your social life completely. Quite often there will be visits by authors and other interesting people who will give a short talk and then sign their books. These events often cost just a couple of pounds and are a good way to meet people in your area who enjoy the same sort of events. Reading groups and writing groups are also a feature of the most libraries and if you are interest in these forms of entertainment ask for your name to be put into the list so that you do not miss any upcoming events. If you thought that a library was just full of books you are in for a delightful surprise.